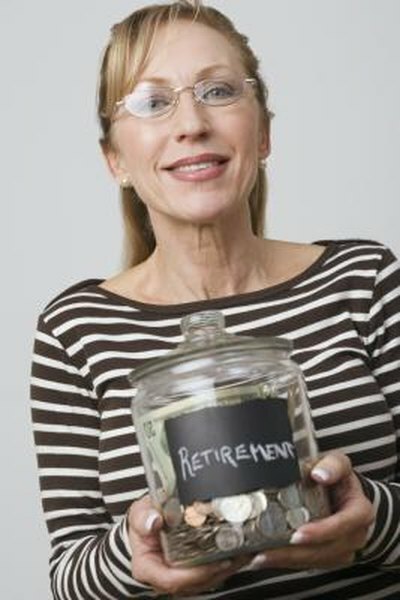 Creating separate containers for savings offers control and predictability in retirement. Unlike traditional retirement savings strategies, the bucket approach focuses on the income you'll need in retirement rather than the savings you'll have amassed. By establishing separate containers of investments to get you through each stage of retirement, you maintain better control of your income and will be prepared to weather a bear market. Creating and maintaining buckets requires more time and effort, which can be both a blessing and a curse. Retirement savings traditionally means building up a lump sum of money and investing the entire amount in such a way that balances safety and returns. Then, at retirement, the investor withdraws a small percentage of the lump sum each year, or the "safe withdrawal rate" -- an amount, usually around 4 percent of the entire investment, that experts predict is safe to take out without risking that the retiree will run out of money. The bucket approach turns this idea on its head by calculating the income that the retiree will need in retirement and then filling up several conceptual "buckets" of money, one for each stage of retirement, which the retiree is free to draw down. Instead of thinking of an investment portfolio as one large lump sum, an investor using the bucket strategy will break it out into three or more buckets. The first bucket covers short-term expenses to get the retiree through the first two to five years of retirement. This bucket will include safe investments like cash and short-term bonds, which are relatively immune to market volatility. The second bucket will provide living expenses after the first bucket is depleted to get the retiree through the 10th to 15th year of retirement; it will include slightly more aggressive investments than the first, such as intermediate-term bonds. The third bucket will be made up largely of stocks to provide growth and income for the remaining years of retirement. By focusing on filling up the buckets with a defined amount of money, you know and can control how much income to expect at retirement, rather than simply taking 4 percent out of whatever assets you end up with at the end of your career. Furthermore, the buckets provide peace of mind. Imagine that a person retired in 2008 and immediately saw the value of her nest egg plummet because of the financial crisis. She may hesitate to take 4 percent of a declining portfolio, or may even panic and sell her stocks, irreparably harming her retirement lifestyle. If she used a bucket approach instead, she could rest easy knowing that she had enough cash in the first bucket to get her through two to five years of a bear market. Establishing retirement buckets can be complicated; some strategies are so involved that they require a financial adviser, according to "Kiplinger" magazine. Juggling multiple accounts and multiple investments can also result in higher costs that don't make sense for portfolios that are less than $250,000 or even $1 million. However, "Forbes" magazine notes that the increased time commitment can be a blessing if it encourages investors to check in on their portfolios more regularly.